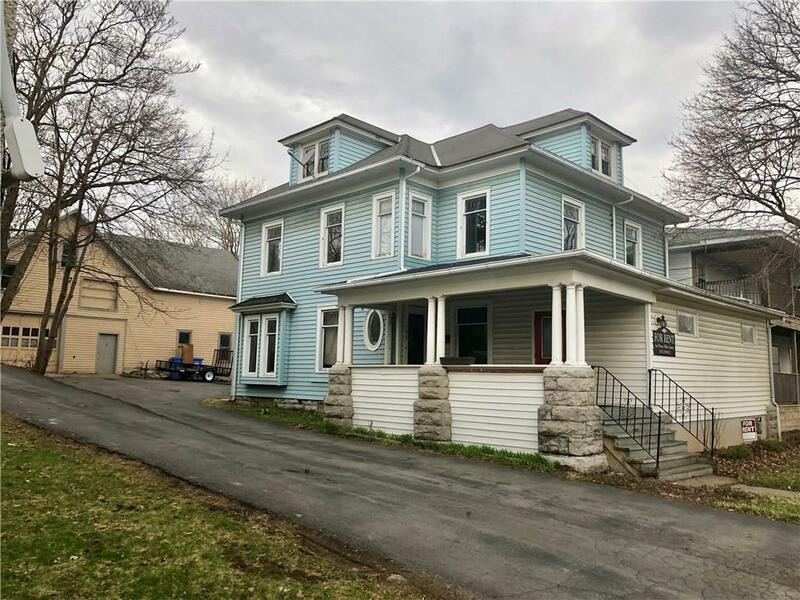 196 North Main Street, Geneva, NY.| MLS# R1185256 | Coldwell Banker Finger Lakes | 315-789-6768 | Geneva NY Homes for Sale, FINGER LAKES PROPERTIES, Seneca Lake, Cayuga Lake, All of the Finger Lakes. Close to DOWNTOWN. Great opportunity for investor to complete this property and start making money. 3 Bedroom upstairs unit (needs kitchen and finish work to be completed). Commercial office in front of building with waiting/reception space and 2 private rooms. Back of house can be a 1 bedroom apartment and/or another office space. Large barn with tons of possibilities (seller willing to lease). Off Street parking. Directions To Property: House Is On North Main. 2nd Property Down From Library.